Keep your yard under control with the RYOBI 18V Compact Hedger & Shear Skin. 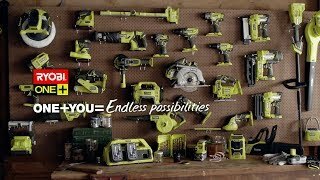 Perfect for power, performance and portability, you'll love the convenience of cordless, letting you tackle tasks anywhere around the yard with minimal set-up and hassle. This model has a lightweight design to reduce user fatigue, and is great for maintaining and shaping bushes and shrubs around the home. It includes a grass shear attachment for extra versatility, which has a tool-free accessory swap so you can change your outdoor power tool in just a couple of moments. So whether you want grandly shaped shrubs or perfectly manicured hedges, you'll appreciate the results you get with the 18V compact hedger and shear console from RYOBI. You can find it today at your nearest Bunnings Warehouse.